It's been a long eight years since their last disc, 'Sea Of Black', was released, but judging from the quality on display here, that time hasn't been wasted as Mass literally storm out of the blocks with a cavalcade of drums and a crashing gong before the main riff kicks 'Just Can't Deny' into gear, bringing to mind Joe Lynn Turner era Rainbow; hard-hitting and supremely melodic, that's not a bad combination for starters. 'Only A Dream' is even better; a big chunky riff overlain by layer upon layer of keyboards and Louis St. August's classy vocals and multi-layered harmonies all combining to create a seriously delicious cocktail of prime-time Pomp Rock of the absolute highest order. If the likes of House Of Lords, Shotgun Symphony, Le Roux and Shooting Star float your boat, then strap yourself in and enjoy the ride. The phrase "all killer, no filler" gets bandied around a fair bit and usually without any real justification, but 'When 2 Worlds Collide' grabs that accolade with both hands. 'Falling In Love' shows the more commercial side of Mass, while 'Second Hand Rose' and 'Stand Alone' add a couple of lighter-waving ballads into the mix, whereas 'Alive', 'Turn It Over' and the moody title track that closes the album ramp up the majestic Pomp. 'Some Time Ago' shows up mid-album and it's an absolute corker with a punchy riff, killer vocals from St. August (who is a revelation throughout) and a huge chorus that will immediately burrow into your subconscious. 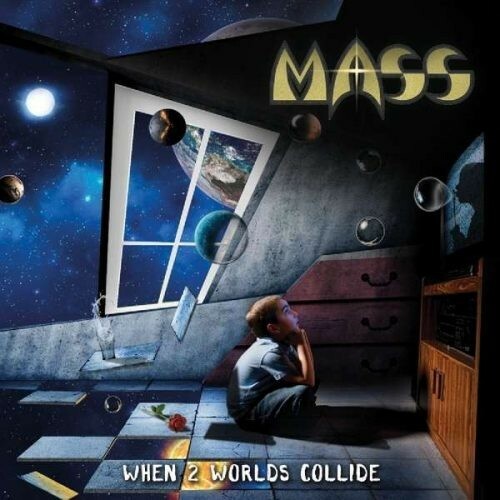 'When 2 Worlds Collide' is something of a rarity these days given the fact that it's an album created by virtually the same line-up that recorded their debut Mass EP all the way back in 1984. 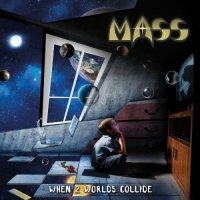 Maybe it's that continuity and camaraderie that's built up over the decades that has combined to create one of the most impressive Melodic Hard Rock releases of recent years, thus making this an absolutely essential purchase.